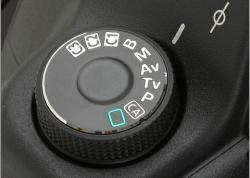 If you're reading this guide, you probably want to improve your photography. In addition to diving more and practicing, I wanted to touch on the subject of some useful ways to improve your photography. One of the best ways, is to compare photos with others more experienced than you, taken at the same location. Why are there photos better than yours? Was it a different time of day? Location? Subjects? Did they do more research? Use different equipment? Have more patience? Use a different composition or lighting? Did they pre-arrange to use a friend as a model? Have a better guide? Were they more familiar with the dive site? Or did they just have better luck? Read underwater photo books and magazines. Read general photography books and magazines. You can learn many things from topside nature, wildlife, and portrait shooters. Composition is universal. You can learn a lot about lighting from studio photographers. A lot about nature and wildlife photography can be applied underwater. Take a class or workshop on underwater photography. Or read a book, or this guide page by page. Great artists all have a strong desire to learn, improve. Technology is changing and there is always more to learn about your art. Read your camera body manual carefully. Get to know your camera inside and out. Practice and shoot, practice and shoot, practice and shoot! Get feedback from someone more experienced than yourself, tell the person you want them to focus on areas you can improve, not on compliments. You can also get feedback on on-line forums. You should make it clear that you don't want advice on cropping or photoshop adjustments, you want to know how you could have taken a better shot underwater. Dive with photographers better than yourself. See how they photograph, where they go, what subjects they choose, what compositions they select. Compare your photos with theirs. Get inspiration from others. 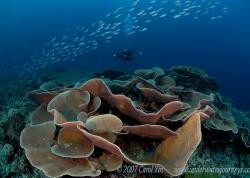 Look to see what other photographers have produced from where you are diving, especially pros. Don't worry about copying what others have done, your conditions and subjects will be slightly different. They probably get their ideas and tips from other people. Who are your underwater photography heroes? If you don't have any, check the resources page. If you have some, maybe it's time to revisit them and their photos. Find a great coffee table book with underwater photographs, that gives you inspiration, and study the photos. Try blurred backgrounds, creating motion trails, zooming while shooting. Read the creative underwater photography section for more info. Shoot some artistic shots, look for colors and patterns in nature. Fill the frame, do closeup. Read the artistic underwater photography section. Get a new lens and try different perspectives - either ultra-closeups with a 10mm fisheye lens, or some supermacro photos. Join an Underwater Photographer's society, you will learn from other members in the club, and it will be helpful to see what types of photos others are submitting in monthly photo contests. On your next dive trip, try to find some calm, shallow water. Look for interesting light and reflections. Practice taking shallow shots with little or no strobe power. Enter a few competitions. If you don't win, try to see what techniques, subjects and compositions won. Check out the winners of the 2011 Ocean Art Photo Competition for great examples. Prepare for your dive - research the destinations & dive sites, understand the marine life and behavior. I'd like to revisit the SMP system - subject, moment, and presentation and go through some examples of bringing it all together.